Dr. Daniel Gasse is a Founding Director of the Gasse School of Music in Forest Park, where he teaches cello, MusikGarten and coaches chamber music. Dr. Gasse has a Profesor de Violoncello degree from the Concervatorio Provincal de Musica de la Provincia de Cordoba, Argentina, a master’s degree and a doctorate in Musical Arts with a minor in Music Education from the University of Illinois. 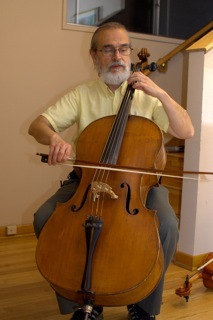 Dr. Gasse has more than 30 years experience teaching cello and coaching chamber music and orchestra. His training and experience includes traditional methods as well as the Suzuki method. He also has experience teaching college students as a former faculty member of Columbia College and Olivet Nazarene University. Many of his students have taken cello for their music major college degrees and several of them have earned the first prize in the Concerto Competition of the Kankakee Valley Symphony Orchestra. Dr. Gasse also is trained in and has many years experience in early childhood education. He has extensively taught Orff and MusikGarten classes. Along with his wife, Sarah Gasse, Dr. Gasse founded the Music for Life Foundation; a not-for-profit organization that provided scholarships to students that otherwise would not have been able to take instrumental lessons. He was also the music director of the Suzuki-Orff School for Young Musicians in Chicago for 12 years, until 2002. Dr. Gasse served as principal cellist of the Kankakee Valley Symphony Orchestra for 18 years until January 2006 and currently plays with the Oak Park River Forest Symphony Orchestra. He was the cellist in the Opus 3 Piano Trio, the Convergence String Quartet and has been a member of the Chicago Twentieth Century Music Ensemble until the end of its regular performances. Previous experiences include numerous performances as a recitalist, and soloist with orchestras in Argentina, Brazil, Uruguay, Paraguay and the United States, as well as holding the position of principal or assistant principal cellist in orchestras in Argentina, Brazil and the US. Dr. Gasse is also the author of the books The Music Written for Cello by Argentinean Composers, and The History of Spain Through the Arts. Dr. Gasse is a frequent guest clinician for the River Forest middle school orchestra program. Mrs. Sarah Gasse teaches viola, violin, chamber music at The Gasse School of Music in Forest Park, IL where she is also a Founding Director. Mrs. Gasse is a native of Sunderland, England. She attended the Royal Scottish Academy of Music and Drama in Glasgow, Scotland and Glasgow University where she earned the BA (Musical Studies) HONS degree. After performing with renowned ensembles such as Britten-Pears Orchestra, Scottish Early Music Consort and the Cruic Quartet, she emigrated to the United States in 1995 for a career in performance and teaching. She has coached the string sections of The McHenry County Youth Orchestra and The Kankakee Valley Youth Symphony Orchestra. She has been on the faculty of Olivet Nazarene University, The Suzuki-Orff School for Young Musicians in Chicago and the McHenry County Music Center. She also was the Director of Chamber Music at the McHenry County Music Center. Mrs. Gasse training and experience include both traditional and Suzuki methods for strings and early childhood music education. Mrs. Gasse and her husband, Dr. Daniel Gasse, founded the Music for Life Foundation; a not-for-profit organization that provided scholarships to students that otherwise would not have been able to take instrumental music lessons. 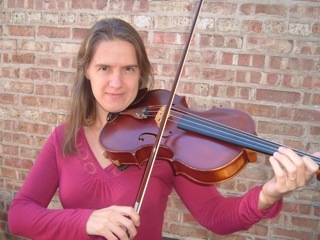 Mrs. Gasse played viola in the Oak Park River Forest Symphony Orchestra for two years until 2007, and was principal violist at the Kankakee Valley Symphony Orchestra for 9 years until May 2006. She also played violin in the Opus 3 Piano Trio and viola in the Convergence String Quartet. Mrs. Gasse is a frequent guest clinician for the River Forest middle school orchestra program. 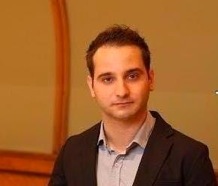 Zhivko Nikolov has taught guitar at The Gasse School of Music since 2013. He has been teaching private guitar lessons since 2006. In addition he was also the guitar instructor in two Bulgarian Learning Centers and has experience of teaching students of any age. Mr. Nikolov moved permanently to the United States in 2007, and shortly after that he auditioned and was accepted to the Music Conservatory of Chicago College of Performing Arts of Roosevelt University. Since then he had studied under the supervision of the well-known performer and Professor Denis Azabagic. Since his enrollment in Roosevelt University, he has had the exceptional chance to meet and perform for several world-known artists such as Marcin Dylla, Paul Galbraith, Elena Papandreo, Los Angeles Guitar Quartet, Nicholas Golouses, Mathew Cochran, and Eduardo Catemario. Furthermore he also often performed in concerts, and guitar seminars both inside and outside of Chicago. Mr. Nikolov won the 2nd prize in Louisville International Solo Competition (Kentucky), and was also among the semifinalists in Rosario Guitar Competition (South Carolina), and Indiana International Guitar Competition (Bloomington, Indiana). In addition to his classical musical training Mr. Nikolov is also interested in various musical styles and genres. In 2012 he formed a clarinet- guitar duo with which he often performs world music in various venues in Chicago. 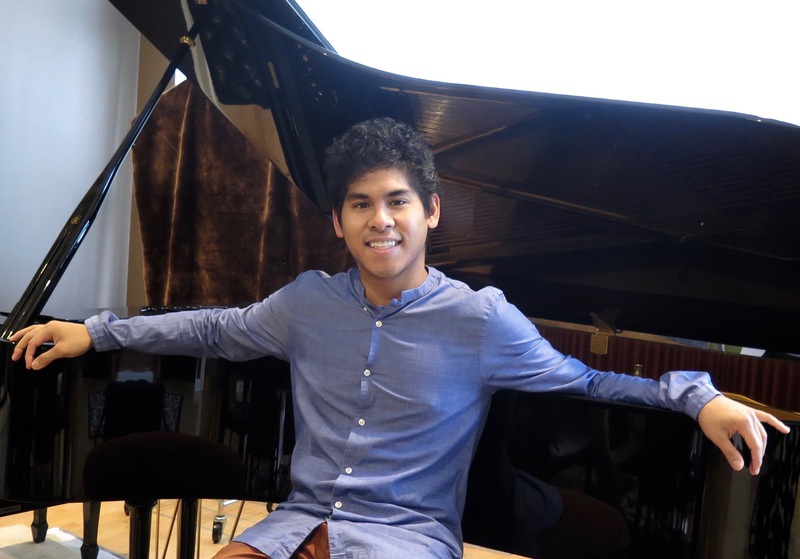 Chicago native, Magnus Villanueva, began piano lessons at age 5. He studied at the Music Institute of Chicago with the late Emilio del Rosario and Ralph Neiweem. In 2010, he moved to Baltimore to further his studies with Marian Hahn at the Peabody Conservatory where he completed his Bachelor’s and Master’s degrees. He recently gave recitals in the Grand Piano Haus and PianoForte Recital Hall in Chicago and Friedberg Hall in Baltimore among others. He has performed and participated in the Pablo Casals Festival in France, Gijón International Piano Festival in Spain, Pitten International Festival in Austria, Eastern Music Festival, and Chicago Duo-Piano Festival. Magnus is also a passionate chamber musician, having worked with artists including Peter Frankl, Robert McDonald, Michael Kannen, Seth Knopp and members of the Brentano Quartet and Shanghai Quartet. As a member of the Merit School of Music Honors Trio, he has performed in the Chicago Cultural Salon Series and has been broadcasted on 98.7 WFMT Chicago. Since May, Magnus has been broadening his musical horizon back home in Chicago with work in audio production, recording, improvisation, and new music. He serves on the accompanist staffs of the Merit School of Music and Hyde Park School of Dance. In his free time he enjoys playing soccer, cooking, and going out to many of Chicago’s music venues.